Everybody in the United States has heard the song about the star-spangled banner. Nearly everybody has sung it. 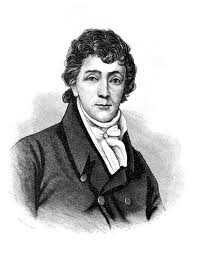 It was written by Francis Scott Key. Key was a young lawyer. In the War of 1812 he fought with the American army. The Brit­ish landed soldiers in Maryland. At Bladens­burg they fought and beat the Americans. Key was in this battle on the American side. After the battle the British army took Wash­ington, and burned the public buildings. Key had a friend who was taken prisoner by the British. He was on one of the British ships. Key went to the ships with a flag of truce. A flag of truce is a white flag. It is carried in war when one side sends a message to the other. When Key got to the British ships, they were sail­ing toBaltimore. They were going to try to take Baltimore. The British commander would not let Key go back. He was afraid that he would let the Americans know where the ships were going. Key was kept a kind of prisoner while the ships attacked Baltimore. The ships tried to take the city by firing at it from the water. The British army tried to take the city on the land side. The ships did their worst firing at night. They tried to take the little fort near the city. He was afraid that the men in it would give up. When the break of day came, Key looked toward the fort. He could see the fort. It was still standing. It grew lighter. There was a flag flying over it. Key was full of joy. He took an old letter from his pocket. The back of this letter had no writing on it. Here he wrote the song about the star-spangled banner. The British commander now let Key go ashore. When he got to Bal­timore, he wrote out his song. He gave it to a friend. This friend took it to a printing office. But the printers had all turned soldiers. They had all gone to defend the city. There was one boy left in the office. He knew how to print He took the verses and printed them on a broad sheet of paper.